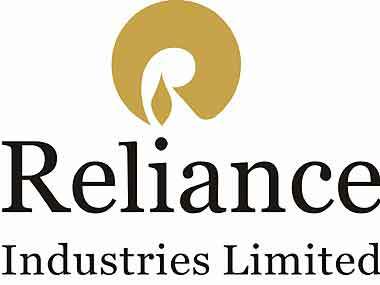 The Fall 2015 batch of the GenNext Innovation Hub, the start-up hub in Reliance Industries Ltd (RIL) that enables entrepreneurs to grow their companies through a four-month programme, will have 10 start-ups, including two from Israel. These includes In*Q*Sec, a start-up that enables continuity of network operations, and eLoan, which enables instant peer-to-peer lending. Speaking at the opening day, Dr. Raghunath A. Mashelkar, GenNext Chairman and RIL Board Member, said "The launch of the Fall batch at the GenNext Innovation Hub startups marks the beginning of a new working partnership between RIL and the startup ecosystem of India and Israel. We hope to see many new startups working closely with GenNext in exponentially growing their business." Welcoming the new batch, Rajinish Menon, Director, Microsoft Ventures, said "The very fact that we have startups from Israel which is the startup nation shows the importance and the growing maturity of India and brings out the thought leadership work done by Microsoft Ventures here in India and globally. Our endeavour is to encourage such cross pollination of startups amongst continents and spruce up universally the Innovation culture." The opening day also witnessed a keynote address by H.
E. Mr. David Akov, Consul General, Consulate of Israel in Mumbai, who spoke on how Israeli startups can engage the RIL ecosystem and vice versa. "It is great that Reliance and Microsoft have come together for GenNext and are incubating two startups from Israel. India and Israel have a lot to share from an innovation standpoint and this will strengthen the ties between the two nations," he said. His talk marked a major milestone in promoting ongoing co-operation efforts between RIL and the Israeli startup ecosystem. GenNext Innovation Hub is also pursuing a new global partnership program to collaborate with organizations in US, Europe and Asia to engage their respective startup ecosystems. GenNext will provide a unique opportunity through its various models to help RIL engage startups in shorter duration programs as well.